During the holiday season, one of the best ways to help people in need is through the Share the Season program. A 19-year program, Share the Season is a joint effort of The Salvation Army, The Wichita Eagle and the Wichita Community Foundation. Each family can receive one-time assistance for needs such as utilities, paying medical bills, etc. Applications are now closed for 2018. Donations are accepted year-round. If you prefer to donate by check, please mail to Wichita Community Foundation, 301 N. Main, Ste. 100, Wichita, KS 67202. To celebrate three decades of philanthropic work in Wichita, WCF granted to three focus areas in 2016. 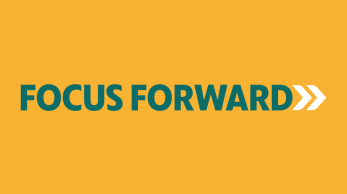 This competitive grant process awards organizations $1,500 for great ideas that further the impact of the four challenges identified through WCF's strategic initiative, Focus Forward. Round 1: Perception grants recipients were Douglas Design District and the Wichita Art Museum. Round 2: Human Capital grant recipients were ICT S.O.S. and Workforce Alliance of South Central Kansas. Round 3: Entrepreneurial grant recipients were CREATE Campaign, e2e Accelerator, Inc. and Junior Achievement of Kansas. Round 4: Business Cycle grant recipients were Ennovar and MakeICT. Details about each of the projects are available on our News page. In partnership with Dillons and KAKE, WCF paid the $1 entrance fee for the Sedgwick County Zoo's Back to School Bash in August 2016. More than 12,400 people attended the event. WCF worked with USD 259 high school leadership courses to discuss charitable giving. Students formed groups and applied for $1,000 and $500 grants from WCF to address needs in their schools. Seven high schools received a share of the $16,000 awarded. Partner with us to better our community. Donate now!